Complete set includes: middle bottom and console cover. No lid cover. 40-20-40 with integral/non-adjustable headests, opening console with roll top lid that exposes two beverage holders and has another opening compartment behind them. Complete set includes: 2 armrest covers and consolelid cover. 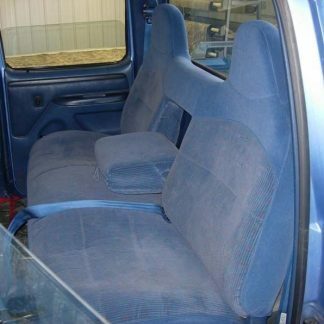 Equal sized bucket seats with integral/non-adjustable headrests, one amrest on the inside per seat, hard plastic no passenger center console. 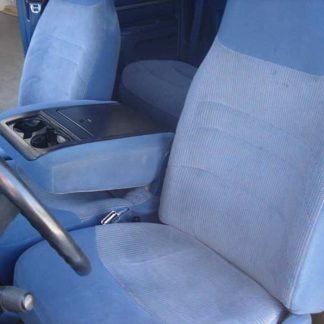 Seat covers are three piece, Bottom, Top, and Armrest (included). 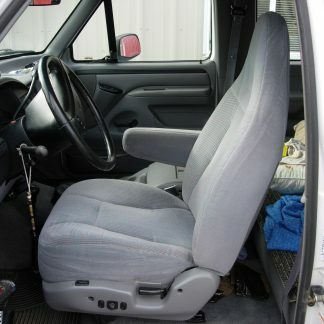 Solid bench seat with integral/non-adjstable headrests, and amrest in the center. 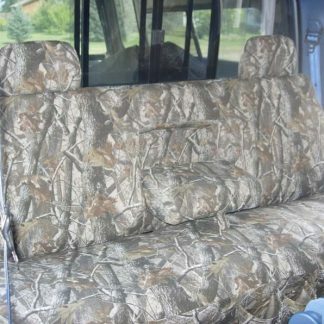 Seat cover is two peice and includes: 2 headrest covers and amrest cover. Solid bench seat with adjustable headrests and armrest in center.